Staging a house can help it sell for more—and faster. Here's how to make yours look its best. If you want to sell your home faster, staging is a clever way to do it. Staging a house allows you to present it in its best light, encouraging prospective buyers to imagine themselves living there. 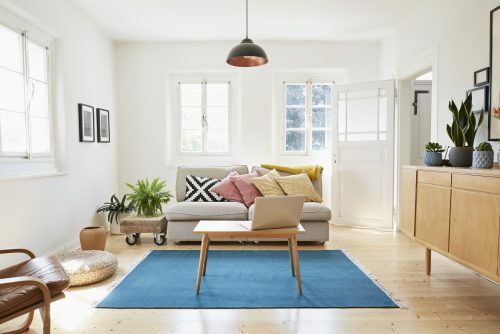 It helps you shine in competitive markets, as homebuyers are becoming accustomed to seeing staged homes—in person, on home decorating shows, and in online listings. What does staging a home mean? Staging a home is the process of strategically arranging furnishings and decor to make a house look its best while selling. This may involve a refresh of your own belongings, or renting furnishings an decor temporarily. If you’re having trouble selling your home, staging can make a big difference. Here’s how to stage a home. 1. Understand why you’re staging. Staging is worth the time and effort when selling your home. A 2017 National Association of Realtors (NAR) survey found 49 percent of buyers’ agents believe staging affects most buyers’ view of a home. And 77 percent of buyers’ agents say staging makes it easier for people to visualize the property as theirs. Staging can also increase the sales price. In that same NAR survey, 29 percent of sellers’ agents said the sales price for staged homes were between 1 and 5 percent higher than unstaged homes. Staged homes sell faster, too—39 percent of sellers’ agents reported that staging a home “greatly decreases” days on the market. Understanding the benefits of staging a home can help you decide if it’s right for you, and how much to invest in doing it. 2. Get rid of clutter. The most basic task when staging a home involves removing clutter and cleaning the house. Remove knick-knacks and personal items from all surfaces. And don’t just put them in closets; potential buyers usually look in them, and you want yours to appear roomy. Box up spare belongings and get them out of the house. With all the clutter gone, do a deep cleaning. Make your kitchen and bathroom sparkle, and be sure to close the toilet lid before people come by. Air out the entire house by opening the windows, which is better than air fresheners or scented candles, which can trigger allergies. And make sure you wash everything your pets touch. No one is attracted to pet odor. Consider hiring a pro for the deep clean if it’s not your thing. 3. Aim for a light and bright look. Buyers typically like to see bright rooms, so lighting is an essential part of staging a home. So open your blinds or pull your curtains back before a showing. Make sure your light fixtures look appealing. If your lampshades are dingy or your fixtures are dated, consider replacing them. Play with different types and temperatures of lighting as well. In addition to your overhead lighting, create an inviting atmosphere with lamps and wall sconces. 4. Stage important rooms first. If you want to stage your entire house, that’s great. But if you don’t have the time or money to stage the whole thing, you can get the most bang for your buck by staging certain rooms. The NAR survey found the living room is the most crucial space to stage, with 55 percent of agents surveyed thinking it’s “very important” to stage it. Next comes the master bedroom, followed by the kitchen. And your last priority should be any extra bedrooms. 5. Remove and/or rent furniture. Remove about half your furniture. This could be difficult since you probably are used to—and use—the furniture in your home. But your house will look bigger and more appealing to most buyers with less furniture in it. If your furniture just doesn’t look showroom-ready, you can remove it all and rent nicer, newer pieces. Put your furniture in storage, or sell or donate it if you won’t be taking it with you. If you’ve already moved, another option is pop-up furniture, which is made of corrugated plastic or cardboard—but looks nice enough to achieve the same goals for sellers as the real deal. Once your furniture has been thinned out, or a rented set has arrived, position couches, chairs, and tables away from your walls. This is a design technique called “floating” the furniture. Anchor the space with an area rug, even if the room has wall-to-wall carpet. This creates a cozy, intimate space, ideal for chatting with friends and family. 7. Don’t forget about curb appeal. Power-wash your house and walkways. Make sure your house number is easy to read. Put a welcome mat and potted plants on your front stoop. If you have a porch, include outdoor furniture. Once your house is picture-perfect, add some finishing touches. People love to see fresh flowers in vases, a bowl of fresh fruit on the kitchen counter, and folded towels in the bathroom. Getting the house all ready to sell? Find out the best time to put it on the market, right here on Trulia. 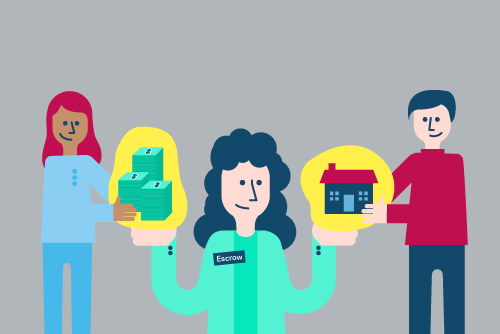 Here's everything you need to know about escrow—including how it's different before and after buying a house. 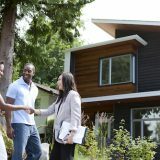 There is a best time to sell a house. The month—and even the day—you list your home can make a big difference. 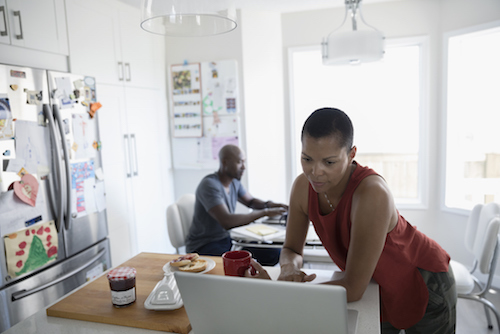 If you make money on a home sale, you may have a tax bill coming.